and it could be computed for both methods despite the authors’ claim (if I understand correctly what “the Likelihood” is). The sentence “when calculating the Evidence the higher Likelihood values are multiplied by smaller weights resulting in a lower Evidence value over all” shows a poor understanding of the nested sampling method, since using a large enough number of particles leads to a proper approxiation of the evidence, as shown for instance in our paper with Nicolas Chopin. 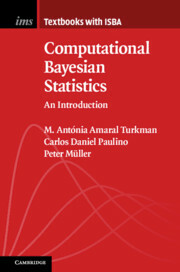 Maybe paradoxically, it is interesting to see via this paper how far (numerically) the lower bound provided by the variational Bayes approximation is from the evidence approximated by nested sampling, even though they appear to peak at the same value for the mixture problem in the specific experiment run by the authors.